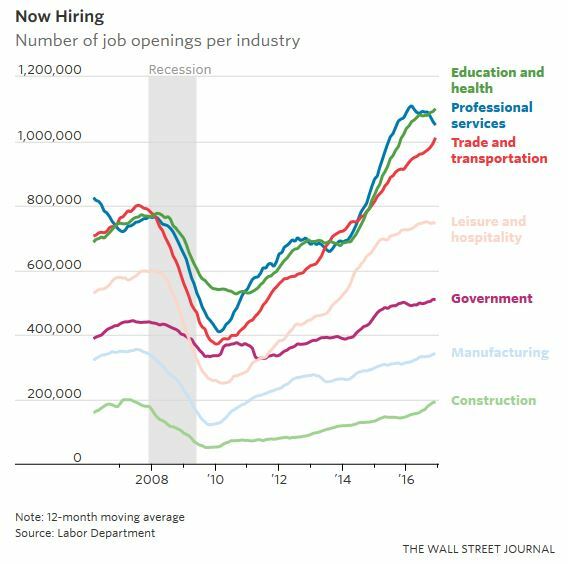 The latest job openings and labor turnover survey (JOLTS) from the Bureau of Labor Statistics, one of Federal Reserve Chair Janet Yellen’s favorite economic indicators, showed that there were 5.501 million job openings in America in December (lagged release). That was a slight decline from November’s downward-revised 5.505 million print, worse than expected, and below the average reading for the first eleven months of 2016 (5.614 million). 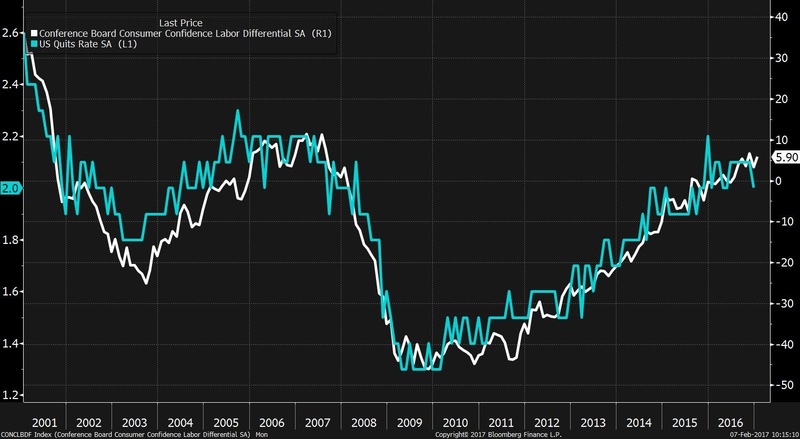 Total hires rose in December to 5.252 million, the third monthly improvement in a row and the best print since August. 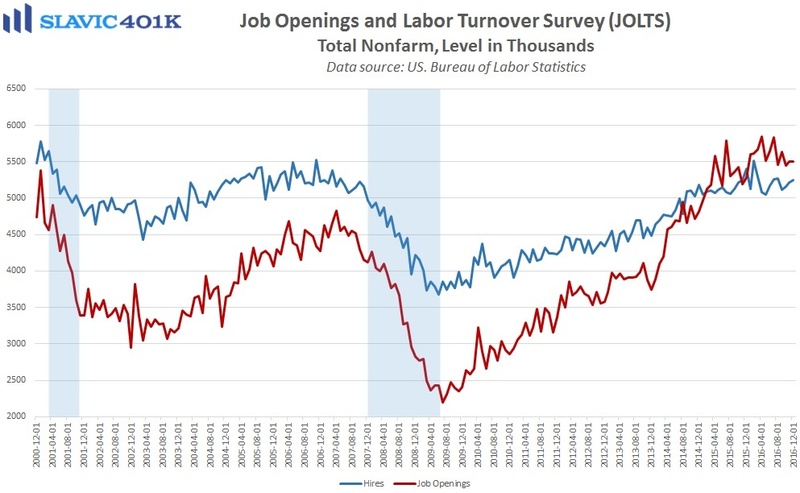 The stronger hires figure was somewhat surprising since nonfarm payrolls growth softened in December, although year-over-year growth that same month fell to the worst level since February 2013. 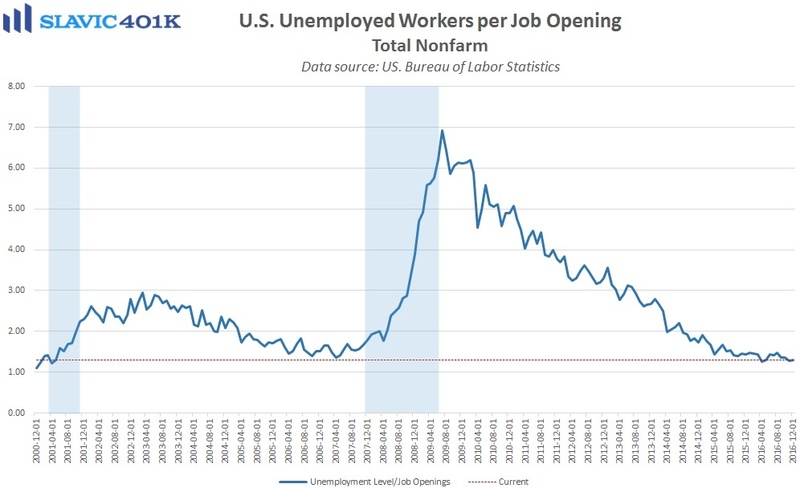 Elsewhere in the report, the number of unemployed Americans per job opening ended December at 1.30, an increase from November but still one of the best readings in the history of this data series. 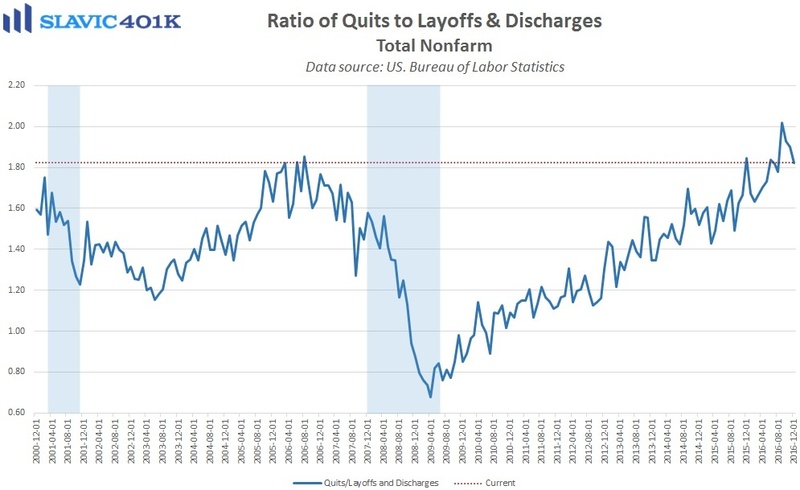 The ratio of quits to layoffs and discharges fell to 1.82 in December, the third monthly decline in a row but still a relatively high level that signals U.S. workers’ increased willingness to give up their current job security for better employment opportunities.